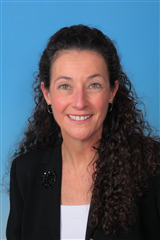 Delia G. Perez, CFRE, began her association with Fairleigh Dickinson University on August 1, 2006 as Director of Planned Giving with University Advancement. In her capacity with the University, Delia works with alumni, friends, faculty and staff in considering such thoughtful charitable gift options as bequests, charitable gift annuities, life income trusts, pooled income fund, real estate and retained life estates, life insurance, IRA charitable beneficiary designations, and other deferred gifts. As FDU’s Director of Planned Giving, Delia manages the acceptance and administration of all planned gifts. She works with our benefactors, executors of estates and donor financial advisors wherein the University is named as a beneficiary while providing due diligence in serving both the donor’s and FDU’s best interests.